If you’ve just bought your first rental home thinking you’ll lease it out and self-manage, you will probably make some mistakes along the way. A lot of people will tell you that hiring professional property management is best. 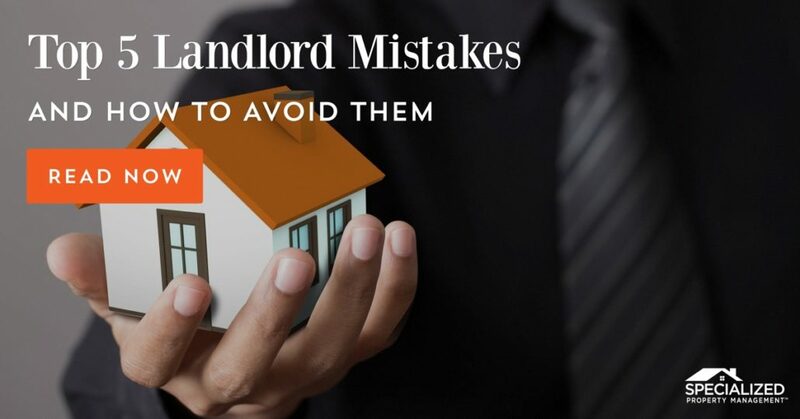 Property management companies in Dallas can help you avoid the most common landlord mistakes so that you can enjoy the profits of your investment faster. At Specialized Property Management Dallas, we do just that. Here are the top 5 landlord mistakes and how to avoid them. Leasing Delays and Extended Vacancies – Nothing is more frustrating to a landlord than to buy a rental home and see it sit for months on the market. Lease your property faster by setting the right price, getting it rent ready, advertising it effectively, and keeping your tenants happy. Inadequate Tenant Qualification – At Specialized Property Management Dallas, we are considered one of the best property management companies in Dallas because we have an effective and proven process for placing reliable tenants. We check past rental history, examine credit history, and look at a tenant’s criminal background to ensure you’re getting a responsible tenant. High Tenant Turnover – A lot of landlords are puzzled when tenants are eager to move out after just a few months. To avoid high tenant turnover, be the kind of landlord you would like to have. Respond to your tenant’s needs quickly and conduct regular property inspections to be sure the rental home is in tip-top shape. 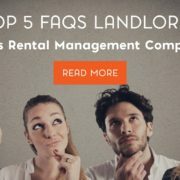 Inefficient Rent Collection – For a profitable investment, the best property management companies in Dallas will tell you it’s essential to enforce the rent cycle. You won’t get anywhere in property management if you don’t collect rent every month. Set expectations early and give your tenants the ability to pay rent online and it won’t be such a big problem. 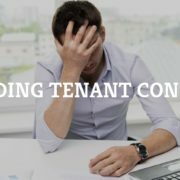 Expensive Regulatory Violations – You must know all the rules and regulations regarding the tenant-landlord relationship so you can avoid incurring costly fines and a legal battle. Be sure you keep detailed records and know all the Fair Housing laws, habitability laws, and municipal codes you need to follow. Failing to do your research on these rules and regulations is not worth the cost. At Specialized Property Management Dallas, our reputation precedes us as the property management company Dallas landlords trust. We’ll help you avoid common landlord mistakes so you can minimize your headaches and maximize your cash flow. Call us today!